Sure we're all going to love looking at pictures of Beyonce Knowles in People magazine this week, where she reigns as the "world's most beautiful woman." But the star as of late has proven she doesn't need old media to tell her story, smartly upping her social media presence with gorgeous, intimate photos of her life that have set a new standard for a celebrity image crafted online, practically DIY. 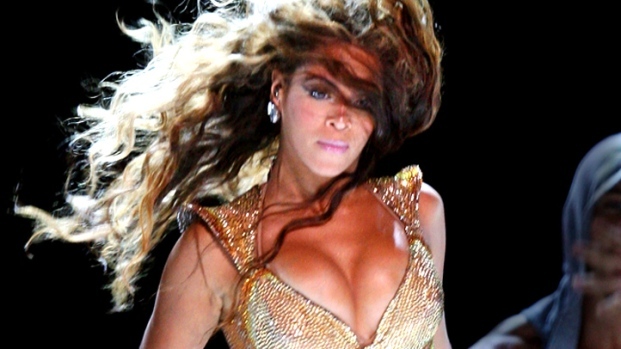 Knowles, 30, reentered the world of Twitter earlier this month to herald the launch of her website/Tumblr. Previously, the superstar singer ensured her personal life was heavily guarded from prying eyes. Her wedding in 2008 to hip-hop star husband Jay-Z, and birth of their daughter Blue Ivy Carter in January were exercises in maximum-security media shut-out. But now, Knowles is granting fans a glimpse into the world they once could only imagine: private photos of the couple on vacation and handwritten messages to first lady Michelle Obama, all displayed alongside news of her upcoming tour (she is set to play three shows in Atlantic City, N.J. over Memorial Day weekend) and music releases. A foreshadowing of this raising of the secrecy veil came in February as the world’s media clamored for the first glimpse of Blue Ivy. In a shrewd move, Knowles and Jay-Z launched a Tumblr focused solely on their daughter that featured five intimate images of mother and child. How Will Beyonce's Pregnancy Affect Her Fashion? Throughout her career, Beyonce has turned heads with her style - but how will her pregnancy affect her fashion? Beyonce is certainly not the first celebrity to interact directly with her fans (she counts 4 million Twitter followers to Taylor Swift’s 13.5 million for example), but what she gets right is what makes her current online presence a benchmark. “Having a direct relationship with your fan is now possible and easier than ever,” said Steve Ellis, CEO and founder of WhoSay, a third-party application that is a social media intermediary for celebrities such as Tom Hanks, Eva Longoria, Chelsea Handler and Jim Carrey. "It is about that direct relationship with the fan and maintaining that long term.” WhoSay now lists over 1000 clients that in turn make more than one billion connections via Facebook, Twitter and Tumblr. Success in the digital realm though, does not require you bombard fans with what you ate for lunch or how tired you may be whilst traveling in first class. Beyonce tweets and posts only what she wants, when she wants, in a less-is-more conversation with her adoring public, who can communicate back by doing things like buying one of her four fragrances or downloading her music. Authenticity, or an aura of such, is what keeps fans coming back. “It’s not necessarily just volume,” said Ellis. “It’s really about the quality of the content. We have clients that post photos that are funny, clients that post sketches that are funny, clients that post pictures with them in them, pictures without them. Everyone has his or her own voice. And as long as that voice is authentic and the content is reflective of that you will see far more engagement and loyalty. And if you just try and market to people you see the opposite.” WhoSay now lists over 1000 clients that in turn make more than one billion connections via Facebook, Twitter and Tumblr. While there is no denying such access is heavily mediated, Beyonce is not alone when it comes to taking the reins and directly using social media to control a public profile. Lady Gaga is a habitual tweeter, the aforementioned Swift balances stream-of-consciousness essays on her website while tweeting that she had buckwheat pancakes for breakfast. Even Queen Elizabeth II has a Facebook page, just don’t try and friend her – her platform only operates one-way.